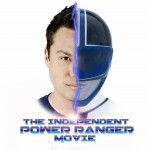 We’re doing a series of updates on films starring or being created by former Power Rangers actors. 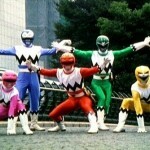 And while TokuNation.com has avoided taking any public stance on any fan created (or in this case, Power Ranger created) films (due mostly in part to the sour taste left in everyone’s mouth due to one “film” in particular) we also think it’s only fair to inform our audience of these types of things because honestly – they’re pretty cool and we do hope they’re successful. You may remember Michael Copon better as Lucas, the Blue Ranger from the future in Power Rangers Time Force. 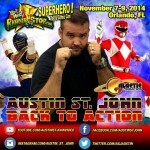 Thanks to his Indiegogo campaign, you can help him make his Independent Power Rangers Movie – basically, a film that stars former Power Rangers. Here is his launch video below. Now we think it’s really important to note two things about this. For starters – this campaign is considered flexible funding – that means no matter if it hits it’s incredibly high goal of $200,000 (for reference, it’s barely at $8,000 right now) it will still take all the funds donated. If you donate to this project, it will still be deducted from your account regardless of whether or not this movie hits its funding goal. And second – this movie is NOT about Power Rangers. This project looks to star Power Rangers actors in an entirely new universe that doesn’t involve morphing, spandex suit fights, or giant robot battles (at least, not that we know of). No matter what though – it would be cool to see a bunch of former Power Rangers actors doing a fun action-type film together. If you’re interested in donating to this campaign, click here and head to the campaign page. Since this project is indeed flexible funding, it gives the impression that this movie is going forward no matter how much (or how little) it brings in. We look forward to seeing new developments! What do you think of this? Do you support projects like this? Or is your heart only in it when these actors wear the colored spandex in an official sense? Sound off in our discussion thread.